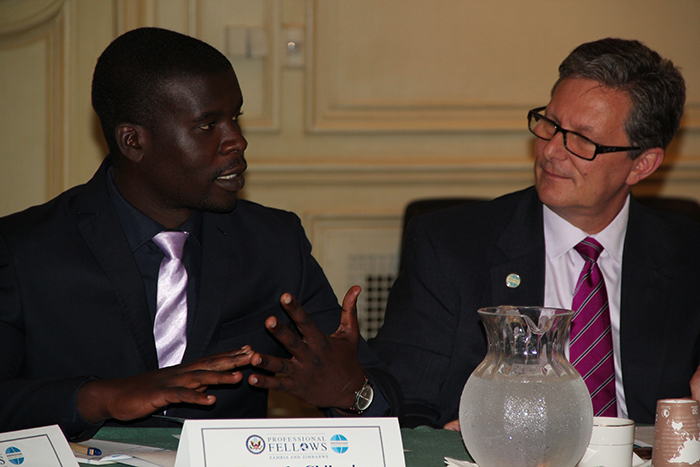 As part of the 2014 Professional Fellows Program for Zambia and Zimbabwe, Meridian partnered with the State Department to bring 12 competitively selected emerging business leaders from Zambia and Zimbabwe—working in sectors ranging from biofuels and agribusiness to telecom and technology—to the U.S. for five-week fellowships. The Program aims to strengthen the visiting Fellows’ understanding of American business practices, entrepreneurship, culture, and values, while also building their professional networks and project development skills so they are better able to bring about economic change in their home countries. The Fellows’ professional placements in Charlotte, NC and Denver, CO were supplemented with workshops focused on business management and entrepreneurship skills. 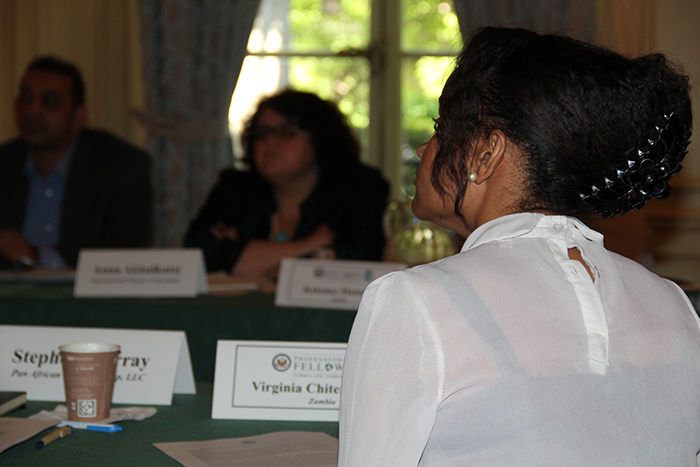 To that end, Meridian hosted the Fellows for a roundtable discussion on Access to Capital on June 2, 2014. In bringing together a range of expertise and perspectives--from private equity firms, to international financial institutions, and impact investing and microfinance organizations—Meridian aimed to provide the Fellows with tools, resources, and advice to address the unique challenges in acquiring financing for their businesses. Speakers included Anna Akhalkatsi, Senior Operations Officer, Sustainable Business Advisory, International Finance Corporation; Charles Botchway, CEO, Madison Street Capital; Tahira Dosani, Director of Portfolio Engagement, Venture Lab, Accion; and Stephen Murray, Senior Investment Officer, Pan African Capital Group, LLC. 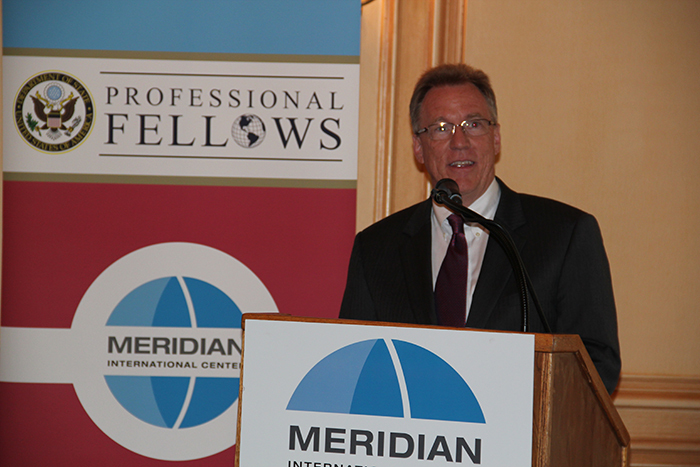 The conversation was moderated by Meridian’s Executive Vice President & Chief Operating Officer, Sal Pappalardo. 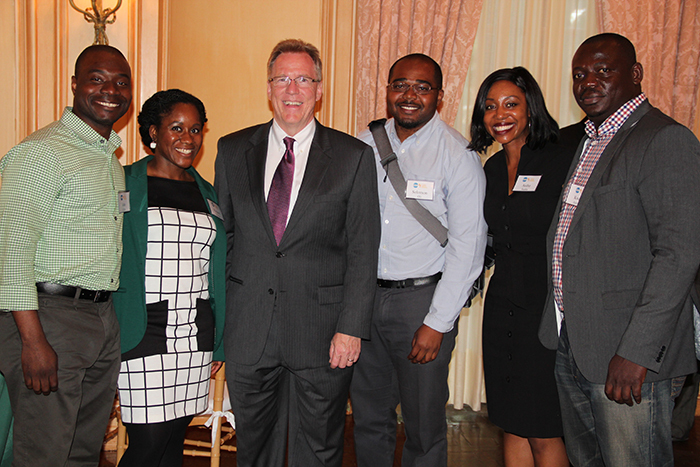 Following the roundtable, Fellows and speakers were invited to a networking reception Meridian hosted with the Young African Professionals (YAP), a dynamic network of emerging leaders with an interest in Africa. The Senior Vice President of Meridian’s GlobalConnect division, Bonnie Glick, shared opening remarks and recognized attending representatives from the Embassies of Zambia and Zimbabwe. 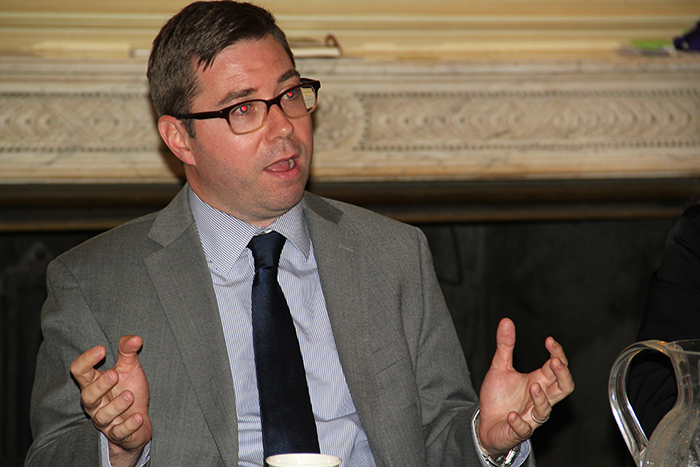 Deputy Assistant Secretary of State for Africa, David Gilmour, welcomed the Fellows and shared the State Department’s relevant initiatives for the continent, including the Young African Leaders Initiative. 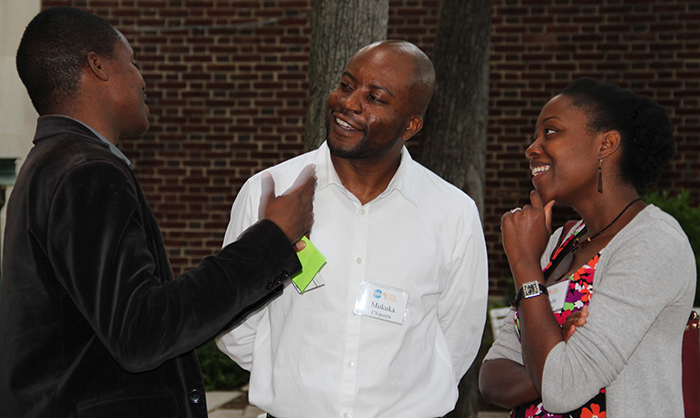 Tawanda Chikosi, Founder of Chikosi Technology Corporation (and Fellow from Zimbabwe), provided insights on his experience with the Fellowship and his time in the U.S. On behalf of the YAP leadership team, Margaret Kamara closed the evening’s remarks and welcomed guests to enjoy connecting with the Fellows. The Fellows’ time in the States will conclude with a Professional Fellows Congress, bringing together all 200 participants from 45 countries and territories around the world. Upon returning to Africa, Fellows are tasked with putting their business plans into action and staying connected with one another, and their mentors, who will have the opportunity to visit Zambia and Zimbabwe for follow on mentorship opportunities. Charles Botchway, CEO of Madison Street Capital, weighs in. 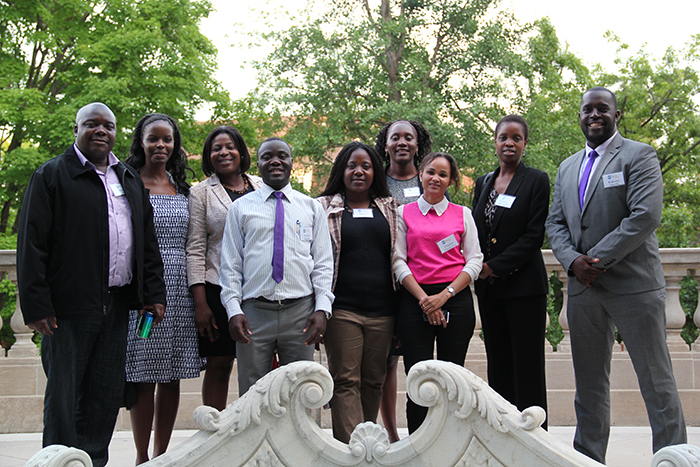 Professional Fellows from Zambia pose with Inonge Mwenya from the Embassy of Zambia. 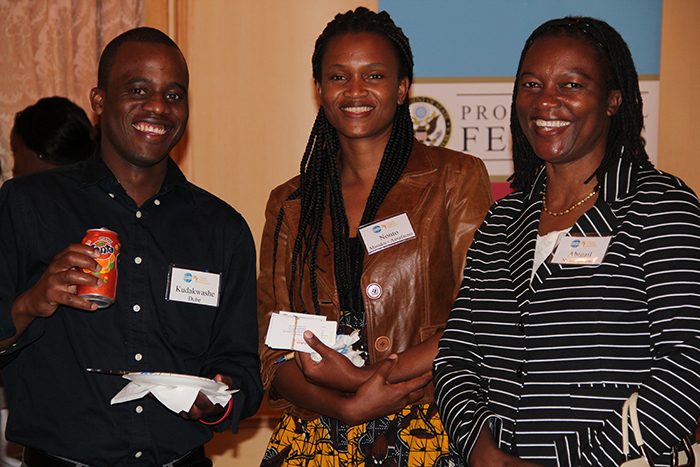 Professional Fellows with Abigail Nyamapfeni of the Embassy of Zimbabwe. 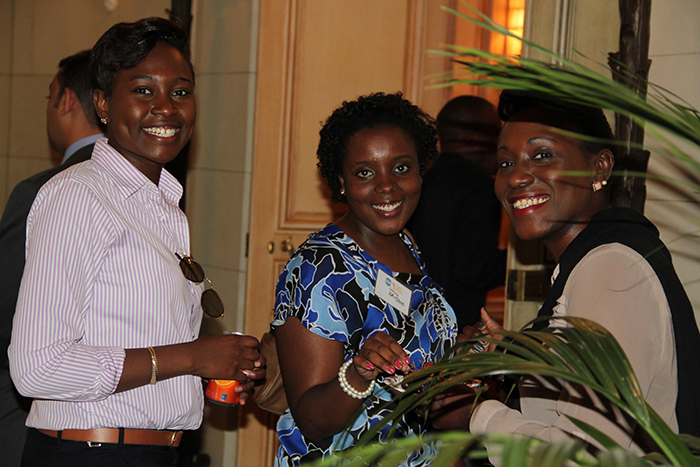 Members of the Young African Professionals Network. Deputy Assistant Secretary of State for Africa, David Gilmour. 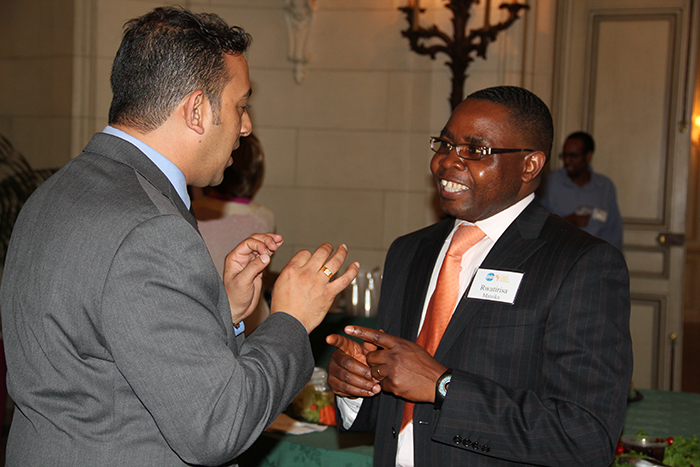 Professional Fellow Rinesh Desai of Zimbabwe talks with Rwatie Matsika of the Embassy of Zimbabwe. 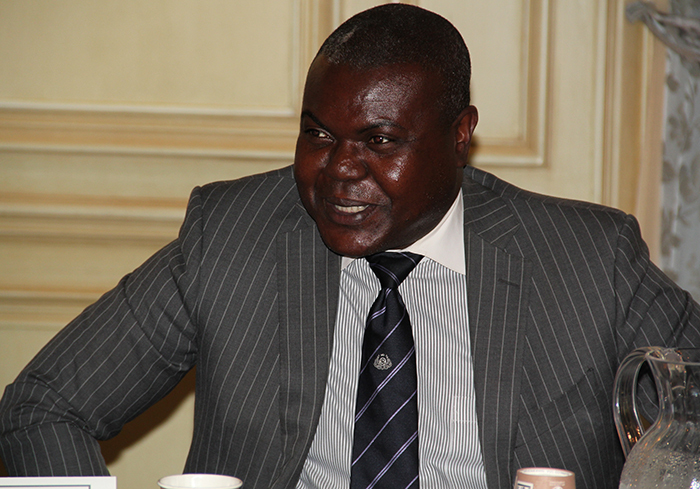 Pan African Capital’s Stephen Murray shares his thoughts on access to finance. 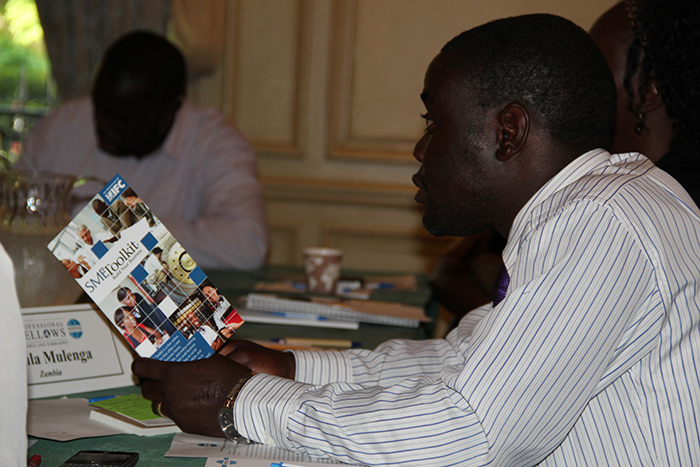 Fellows discuss their own challenges in accessing capital. Fellow Tawanda Chikosi with the Roundtable’s Moderator, Meridian’s Sal Pappalardo.